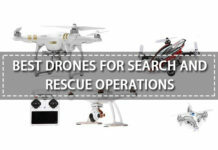 There are various types of drones available on the market today. While most drones provide a pilot view of the scenery later, FPV drone pilots see the video in real time. FPV stands for ‘First-person view,’ they are also known as remote-person view. FPV drones have revolutionized how we take videos, and drone flying has become a breathtaking experience. FPV drones prices range from insanely affordable to outrageously expensive. In this guide, we look at the best FPV drones, and you do not have to take a bank overdraft to get them. Here are the best FPV drones on the market today. This FPV drone offers amazing aerial videos footage and still images. It is easy to operate, and it will add fun to your outdoor flying adventures. The UDI U818A has LED lights that allow you to notice it when flying it at night. It comes with a 1-megapixel camera that can take high-resolution photos and capture HD videos in 1280 X 720 at 30 frames per second (fps). It is compatible with mobile devices so you will not have trouble pairing it with your iOS and Android tablet or smartphone. The UDI U818A comes with an extra battery, and so you get extended flying time, better yet, you can charge one battery while you use the other to fly the drone. Each battery while on a full charge gives you 6-9 minutes of flight time, and you can charge it with the ordinary USB cable. The controller, on the other hand, has three buttons, one for video recording, and the other for capturing photos. The other is a roll button used for an immediate 360-degree roll of the drone giving you amazing effects and views. You also get triggers on the right and left of the console and two joysticks. The right trigger turns the signal light on and off while the right joystick and the left trigger together make the FPV drone flip 360-degrees in any direction. The right joystick controls the drone’s flight path. 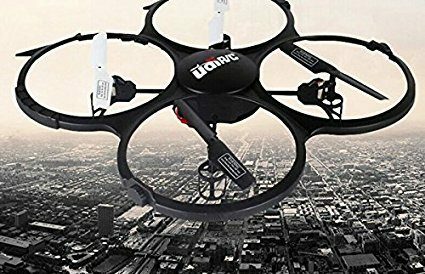 The UDI U818A is a hardy drone and it will survive various crashes before you get the hang of flying. 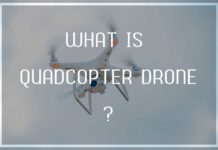 The drone has a Headless/OC function that makes the drone to fly forward without any connection to the nose direction. This reduces the steepness of the learning curve, and the pilot enjoys the drone’s flight as they learn how to control it. Best of all, you get four extra rotor blades in the shipping package. The UDI U818A is a properly priced FPV drone, and it is one of the bestselling FPV drones on Amazon. It has earned an average of 3.9 stars out of a possible five stars. 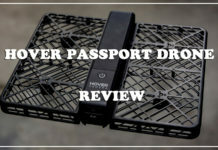 This is a perfect drone for people with varied experience in drone flying. 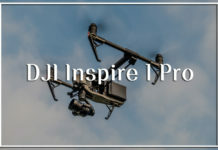 With the increased interest in drone flying, the UDI 818A with its protected rotors and Headless/IOC function, you get uninterrupted forward direction. The 14 years shelf life makes it the FPV drone with the best value for your money. It will operate optimally at between 80 and 100 meters above the ground. The blue heron FPV drone boasts of an altitude hold feature, a first-person view screen with Camera Live Video, giving you the front seat to what your camera sees in real time. Unlike most FPV drones on the market today that hardly gives ten minutes of flight time on a single battery, the U49W Blue Heron FPV drone has an impressive flight time of 15 -30 minutes on a fully charged battery. You also get an extra battery for more fun while the spent battery charges. 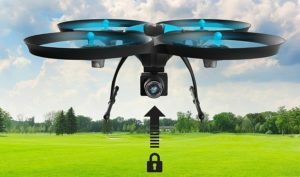 The drone has three-speed modes, Low-, Medium- and high-speed settings and one-key takeoff and landing. It makes it easy for making otherwise difficult flying maneuvers fast and easy. The U49W Blue Heron has a headless mode that makes flight easy, and it has signal alarms that alert you when the battery is running low, and when it is time to land. If you are a beginner, this is the best drone for you with easy controls. 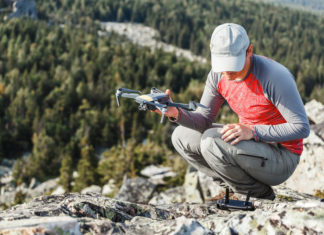 Use Altitude Hold to stabilize the drone during flight, and you will get the best bird’s eye view of the outdoors like you never thought possible. 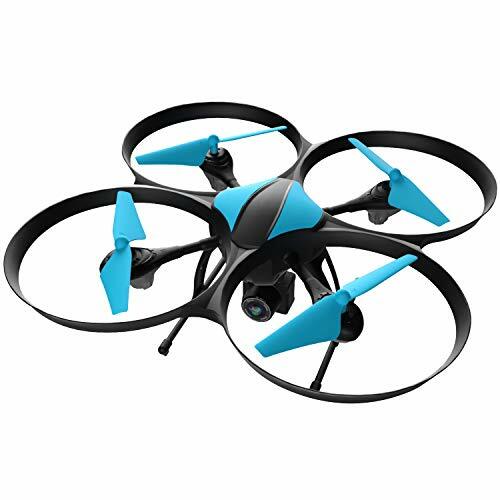 The U49W Blue Heron FPV drone has a fantastic 720p camera for HD live video feed and captures high-resolution pictures with rubber damping to reduce vibration when flying. Altitude Hold allows you to get the perfect shot with the U49W Blue Heron hovering at your preferred spot. 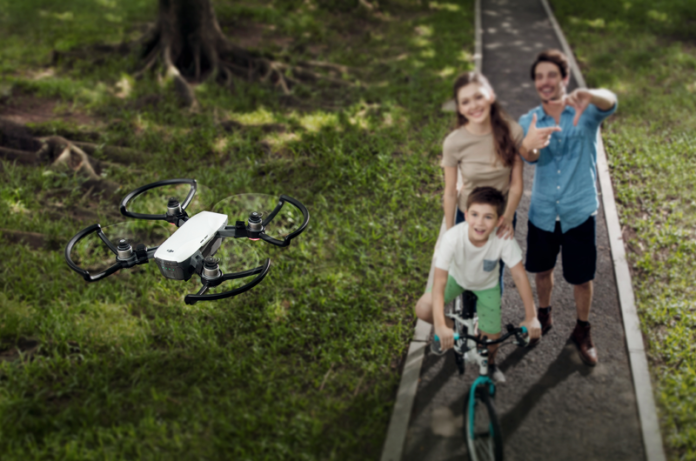 The drone’s console integrates with various iOS, and Android mobile devices with the Wi-Fi enabled camera. Simply download the app and enjoy first-person view. It is one of the bestselling FPV drones on Amazon with an average rating of 4.2 stars out of a possible five stars. More so you can choose to get it gift-wrapped before delivery. The U49W Blue Heron camera is a good buy, and it gives great value for your money. 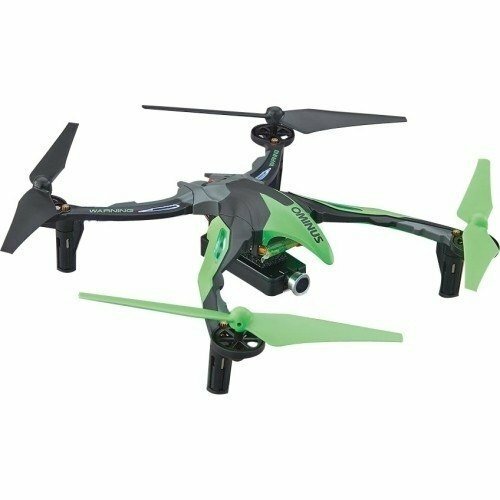 With the extra rotor blades and the extra blades, you get to enjoy drone racing or drone flying as a hobby. It is shipped around the world, and you can request it while on vacation. The drone assembly takes less than ten minutes to assemble it thanks to the clear and super easy instructions. However, it does not come with a Micro-SD card, and so you have to go out of your way to get it. Before taking a picture, ensure that you engage the Altitude Hold mode to allow the camera to focus. The motor and blade assembly is strong enough; you can fly the drone in strong winds, and still get it to hover perfectly in Altitude control. 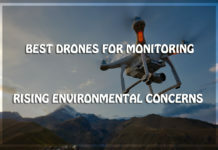 This is one of the top drones in the market today, having impressively in wind test scores, and professionals as well as drone-flying hobbyists love it. 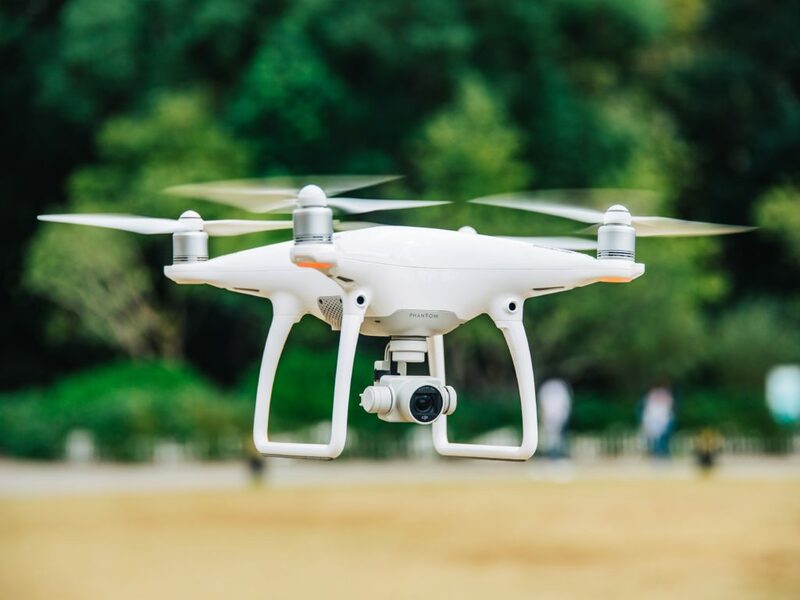 The DJI Phantom 4 is the fastest Phantom drone thus far, and it can reach top speeds of 45 miles an hour and a flight time of 28 minutes on a full battery. 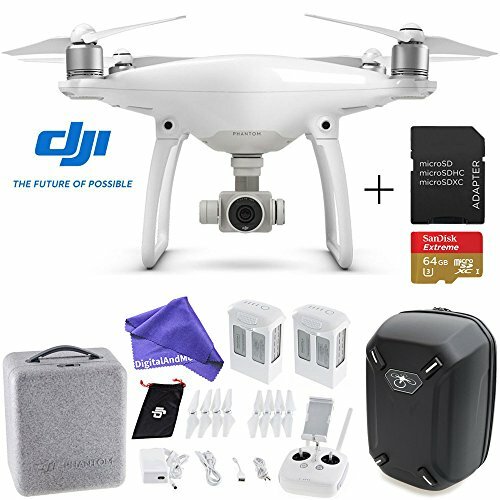 The DJI Phantom 4 comes with a built-in camera that captures live video at 4K, 2.7K, 1080p, and 720p, at 30 frames per second as well as 12 megapixel still pictures. You can also get 120 fps at 1080p for slow-motion effects. As good as this sounds, the best aspect about the DJI Phantom 4 has to be the obstacle avoidance system. This means that the drone can intelligently maneuver itself around objects and re-position itself again mid-flight. It has four sensors; two on the front and two at the back of the camera capable of detecting seeing 50 feet ahead and 30 feet below. It also has a Tap to Fly feature, and powerful yet simple software, which combine to give you an awesome flying experience. The Phantom 4 is looking to rewrite history where fixed-wing drones had an advantage over multi-rotor blade drones, with its sports mode. The mode gives the drone a top speed of close to 45 mph, and you can follow fast-moving objects. 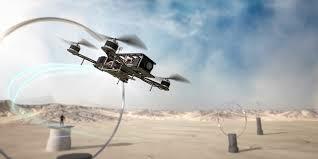 It also has Active Braking to bring the drone to a halt no matter the speed you are flying it. There is hardly any FPV drone that comes close to what the guys over at DJI can do. 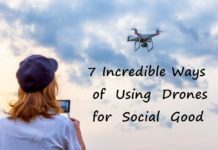 They fit the most advanced drone technology in this tiny drone, and it will blow you away every time you use it. 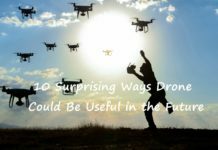 It is arguably the best drone in the market, and there is a possibility that only they can improve on their best. 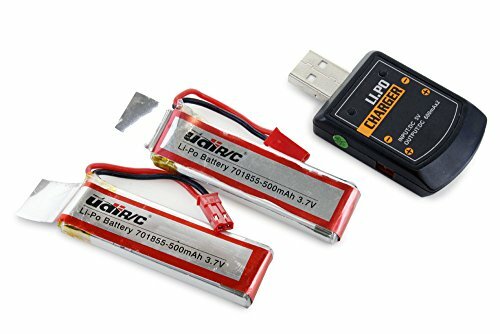 The Li-Po battery is a good one and with the 28 minutes of flight time at top speeds of 45 mph, it is a good FPV drone. However, you do not get an extra battery, which means that you have to wait at least two hours before the battery charges up fully. 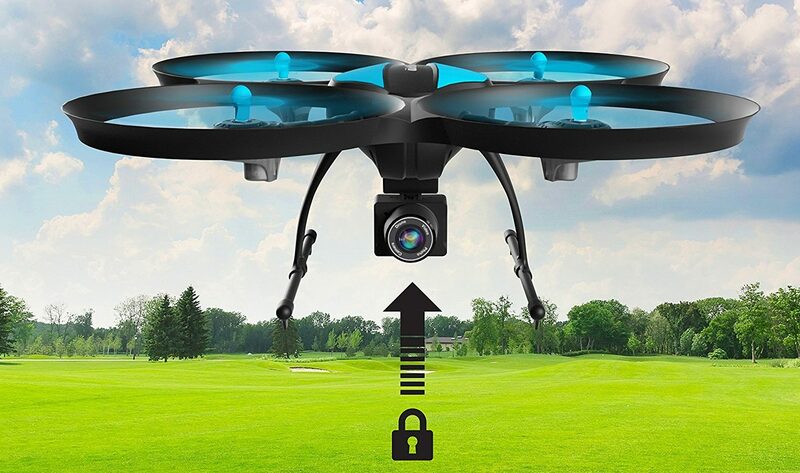 You can lock on moving subjects and thanks to visual tracking, the drone will track them, and all you have to do is to stay n range of the drone to capture the footage. 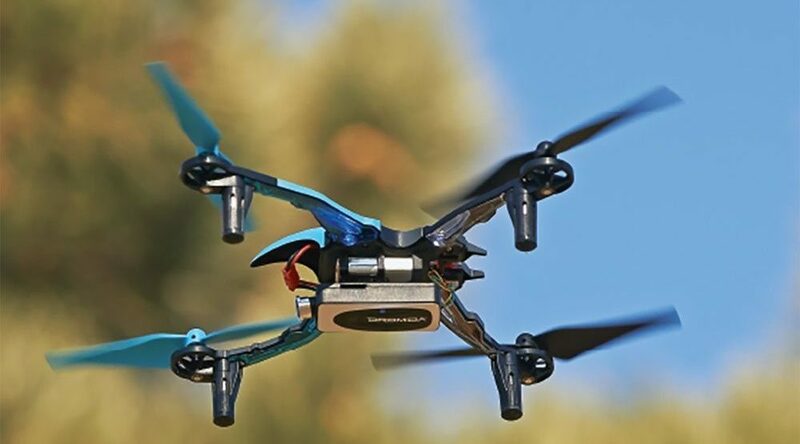 The Hubsan comes with a new and improved 6-axis flight control aimed at gives you a more stable flight. This makes it perfect for beginners and professionals looking to take still photos and videos with impeccable clarity. It also has rubber-landing pads, to reduce the impact when landing. It also has sturdier rotor blades compared to other options available in the market today that help in reducing in-flight vibrations. The Hubsan body has a lightweight frame with amazing durability, which contributes to a stable and smooth flight. It has a 720p camera with a top resolution of 1280 x 720. 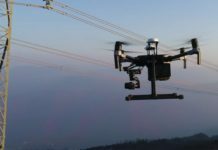 It has a separate photo capturing as well as video recording modules that make it amazing for capturing aerial still shots and recording videos. It has five inbuilt LED lights for visual appeal, and you can easily see it if you are flying it at night. 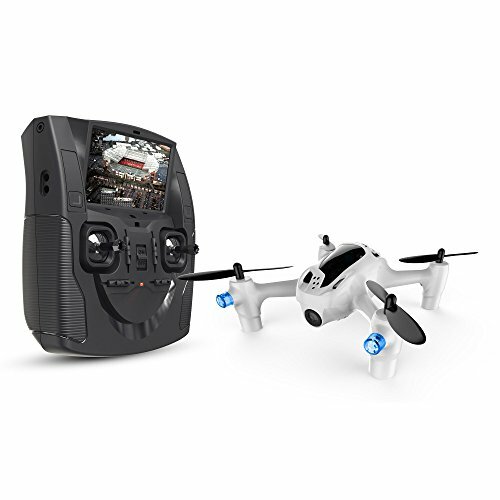 It has a 2.4GHz 4-channel transmitter with a 4.3-inch LCD screen perfect for FPV. It has an added 5.8GHz frequency for video transmission, which helps in anti-interference. This means that you will not get any interference from another drone or aircraft is flying in the vicinity. The live video feed is set at a maximum of 100 meters, and a flight control range of 50-100 meters. The 3.7v 530mAh Li-Po battery allows you 6 minutes of flight time. The battery reaches full charge in an hour with a USB charging cable. While most drones are for outdoor use, the Hubsan works well indoors as well as outdoors thanks to the flight and protection cover. The Hubsan is an affordable FPV drone gives you the best bang for your buck under $100. Given that t offers headless flight mode, you will not have to contend with the nosedive interfering during forward-flight. 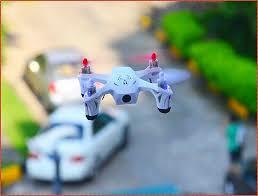 It is the world’s smallest drone and it gives instant video transmission as long as you are within range. 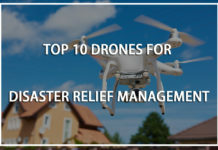 The sturdy rotor blades and an altitude hold feature for improved stability, and you will love the quality of images thanks to the built-in HD camera. With a 14-year optimal performance recommendation from the manufacturer, it makes for a lifetime of use and replacement parts can give you much more extended use. The Dromida Ominus is a ready to fly (RTF) drone, which means that it has all the accessories needed to fly in the package. The package comes with “AA” batteries for the 2.4GHz remote controller, which most manufacturers omit. If it is raining and you cannot go out, you can fly it indoors. It has bright color-coded LED lights that help you to pinpoint the location of the drone while flying in the dark. The 3-axis gyro and 3 accelerometers give the Dromida Ominus smooth flight. It is capable of acrobatic maneuvers at the touch of a button thanks to the four flight modes. The 2.4GHz remote radio controller ensures that you get an uninterred live feed transmission. The new model comes with an upgrade, which includes a built-in camera that captures clear and crisp aerial videos and photos. 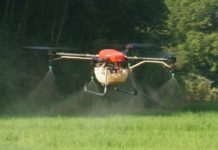 The Dromida Ominus has a smartphone app available for download from the Android Playstore and iOS App store, and you can use it to make changes to the drone’s settings. The microSD card stores all the media captured by the camera, and you can download the videos and the content to your tablet or smartphone. The remote controller has a smartphone holder, with a shade for when the camera is facing the sun. Given that there are very few ready to fly drones, it makes sense to get it, and the price is pocket-friendly. 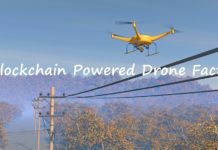 It will surprise you what this drone can do compared to the more expensive options in the market. The guys over at Dromida continues to give updates on their already amazing drones, and they always come back with a better drone than the previous model. It is competitively priced, and it is one of the best buys in the FPV drone market. If you are into drone racing, you cannot pick a better FPV drone than the Arris X-Speed 250B V2 250 FPV. It has features that make it suitable for experts and newbies can easily operate it. It has a crash-resistant frame thanks to the durable carbon fiber material used in its manufacture. Despite being a small drone, it can reach astonishing speeds, and that is why it is the top racing FPV drone. It has an average of 4 out of five stars on Amazon. The Arris X-Speed 250B V2 250 FPV uses the SP Racing F3 flight controller one of the top-notch controllers in FPV drone racing. The CC3D controller gives you the ability to fly your Arris X-Speed 250B V2 250 FPV drone up to 1,000 meters away. 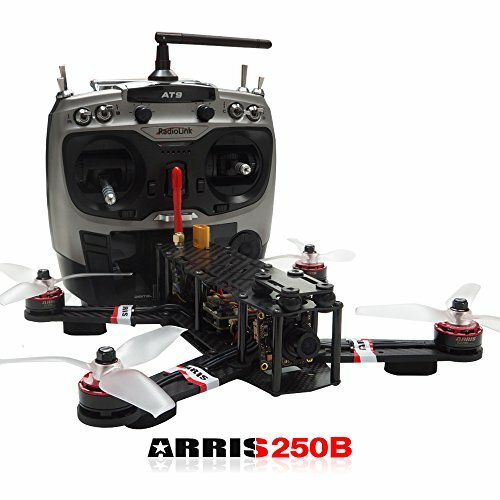 It has four 1806 2300KV brushless motors, and Arris produces them for other drones, so with the Arris X-Speed 250B V2 250 FPV, you are sure that you are getting the best in the industry. The FPV comes fitted with a 700TVL camera that has zero delays, plus amazing video quality. It has a 4S 11.1V 2200mAh Li-Po battery that gives the drone 10 minutes of flight time on average. It is only available in black with green front rotor blades, and this makes it amazing when you want to fly in stealth mode. The drone is assembled in the factory and tested to ensure that it meets the Arris quality before it is put up for sale. The lightweight drone with the new model Arris 2205 motor and 5042 rotor blades work perfectly to give you unmatched performance. Better yet, it is the ultimate ready to fly FPV racing drone in the market. With all the technology going on for the Arris X-Speed 250B V2 250 FPV, you might think it costs an arm and a leg. Due to its performance, it gets an average of 3.5 stars out of 5 stars on Amazon. 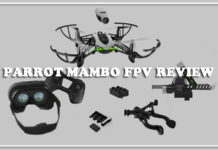 This is the FPV drone for you if you want to get the high performance and stability. The drone comes to FPV ready, but you will require another TX antenna to control the drone. The fact that it is ready to fly drone eases the stress of putting it together. All you have to do after getting t delivered is to follow the directions, and you will be racing in no time. However, due to its speed, it will take you a few flights before you get used. 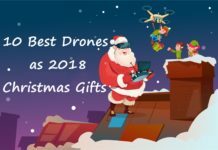 With so many drones in the market today, it was tough coming up with this list of the best FPV drones. However, we interviewed various drone racers and got their views on the best features and those they would change. 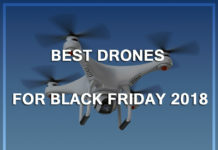 After this, we used the following criteria to select the best FPV drones. 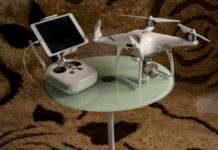 This is the first item for consideration, and it included assembling when the drone was delivered and the transmitter range. For best results, the transmitter has to be interference free to ensure you get an uninterred live transmission. On average, most drones have an average flight time of 8-10 minutes. However, we found some with flight times as high as 15-30 minutes. However, most manufacturers throw in an extra battery to get more flight time as the other battery charges. 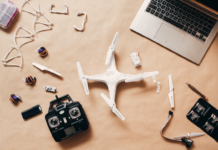 Drone building technology has come a long way, and they are built to survive crashes and still function optimally. Some use protective elastic plastic to shield the rotor blades, others have an anti-collision technology, sturdy rotors, while others are built with a rigid frame. 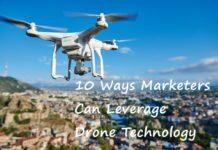 The ability of the drone to work optimally after several crashes are necessary to get your money’s worth. FPV drones are known for their superior camera quality. Otherwise, they would not be as effective. 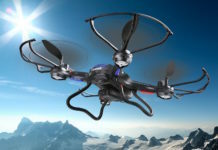 All the drones will take still images with altitude hold feature, sturdy rotors that resist strong winds. Video quality is also of importance so that you can share the aerial view of your amazing drone racing experience. The smartphone is making lives easier, and it was necessary that the best FPV drones be compatible with various mobile devices. The drones on these devices are compatible with Android and iOS smartphones and tablets, and you can download the footage to the devices. This is an important aspect to consider when buying a drone. You do not want poor quality images and videos that you cannot enjoy when relaxing watching the flight feed. 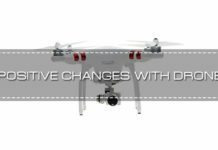 On top of this, look for a drone that has expandable memory to avoid frequent deletion of your footage. With so many brands entering the market, go for brands that have been in existence for a while. This is because they have a long history of dealing with customers and they will tend to your queries instantly. Talk to friends, join online FPV drone forums, and make the best choice given the reviews you find. FPV drones are more expensive than the ordinary video drones; however, do not be lured by the features of the drone. Always make purchases within your budget, but it is not an excuse to go for low-quality drones. Ensure that you get the best value for your money by purchasing the drone that gives the best quality for your budget; do not be in a hurry to purchase until you get the right drone, even if it takes months. 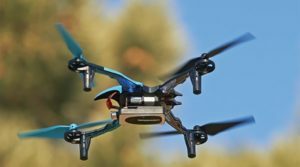 Q: Where can I purchase an FPV drone? A: After reading our reviews for the best FPV drones, visit any of the reputable sellers on Amazon and other e-commerce sites. Ensure that they ship to your country before you start processing the payment. Q: How do I make the right choice? A: For an expert, this is not a problem. 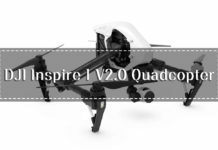 However, you can follow our criteria for evaluating the best FPV drone, and you can also let our list guide you in making the purchase. You can also watch YouTube videos on various FPV drones and go with your gut. Q: How do you operate an FPV Drone? A: There will always be a user manual included in the package. However, it is best to start the remote controller first then the drone. You will then connect the camera’s Wi-Fi to that of your smartphone or tablet and use the controls to move the drone around. Always keep the battery charged.